Recently I have installed Ubuntu 16.04 on dual boot with Windows 10. I was having the flickering screen problem but I have partially solved it (sometimes it flickers) by following this previous answer. I haven't found anything regarding this type of error in the Internet.So can anyone describe what cause of this error is, and how to fix it? I have the same problem, but mine displays ~*[[3. In order to prevent this, I press ESC multiple times from the moment the system is booted (after pressing the power button). This stops the ~*[[3's from appearing. Sometimes if you press the ESC while the machine is booting, it will take you into the BIOS or similar settings. If this happens to you, just press ESC as soon as Ubuntu starts to load. It was occurring because of my faulty keyboard.The Page Up button of my laptop keyboard was getting pressed automatically and continued to do so until I pressed the Page Down button.I don't know the name of the representation type,where Page Down is represented using [[6~^ and Page Up using [[5~^.If anyone knows what it is ,kindly add that in the comment section. Not the answer you're looking for? Browse other questions tagged drivers 16.04 nvidia graphics shutdown or ask your own question. 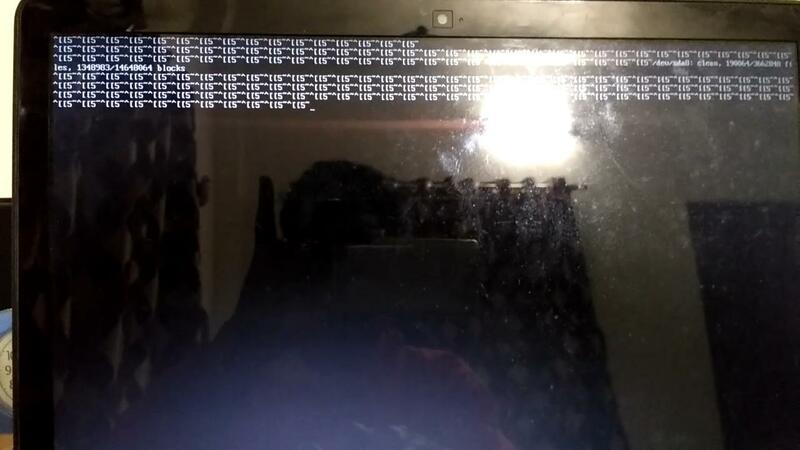 What may cause Ubuntu to not be able to shut down and limp in the logout screen?